These Print File 7x10 Polypropylene Crystal Clear Bags are an ideal way to present, protect and store your collectible comic books. Currently out of stock (Expected 05/01/2019). Add To Cart to view ship rates and delivery dates. These Print File 19x25 Polypropylene crystal clear bags are an ideal way to present, protect and store your collectible newspapers. 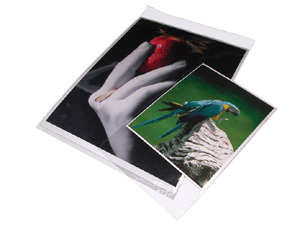 Crystal clear art protectors are an ideal way to present, protect and store all types of images. Note: This item has replaced our Infinity Archival Digital Output Self-Sealing Envelopes.